BRINGING NATURAL PRODUCTS TO MARKET. FASTER, CHEAPER & MORE EFFICIENTLY. We’re helping to connect and support a vibrant ecosystem of expertise, resources, and investment that bolsters commercialization in Canada’s natural products industry. Discover natural product companies and products with potential for growth and profitability. Find partners to advance your research and help take your product to market. Maximize your production and technology facilities and labs. Provide your regulatory, IP, marketing, and other business services to a fast-growing sector. Leap over commercialization hurdles with strategic connections, business advice, and investment. Connect to untapped products and technologies, regulatory expertise, and partners. Leverage your networks, experience, and programs to help this sector grow. Established in 1997, Ontario Agri-Food Technologies (OAFT) is a non-profit organization comprised of members from grower associations, universities/colleges, industry and regional governments. Located in Guelph, Ontario, the organization focuses on ensuring that Ontario producers have access to the latest technologies to compete globally and to develop new market opportunities, many of which are beyond food. OAFT pro-actively supports the continued development and adoption of new agri-food technologies in a manner which will stimulate improvements in farm and food processing and industrial sustainability, profitability, and improve Ontario's strong position in the agri-food sector, both nationally and internationally. Ag-West Bio is Saskatchewan's bioscience industry association and catalyst for industry growth. Our goal is to move research to market and grow biobusiness in the province. Membership-based, we support commercialization of technologies in the areas of sustainable crop production, value-added food processing, health, environment and bioproducts. We aid strategic alliances, provide seed capital for early-stage businesses, and disseminate information. Our many events help create connections between research and business and build a sense of community. Ag-West Bio is funded by the Saskatchewan Ministry of Agriculture and Agriculture & Agri-Food Canada, with support from Western Economic Diversification Canada and the National Research Council’s Industrial Research Assistance Program. 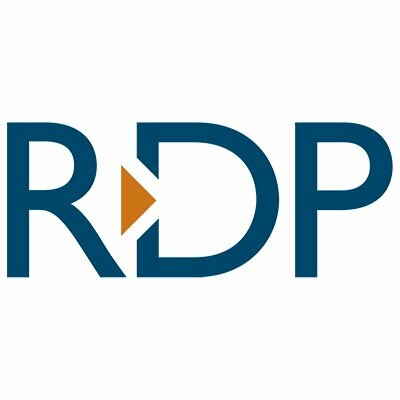 For the past 30 years RDP Associates has been working with a whole range of companies—startup and established— in diverse business sectors to obtain various forms of government funding. RDP operates in Canada, UK, Ireland, Netherlands and other European countries. RDP also specializes in R&D tax credit returns, commonly known as SR&ED. The latter is also a form of government funding, but with a complex set of rules and regulations that require in-depth expertise. Since its launch in 1987, RDP has managed to secure for its clients SR&ED tax returns to the tune of half a billion dollars. 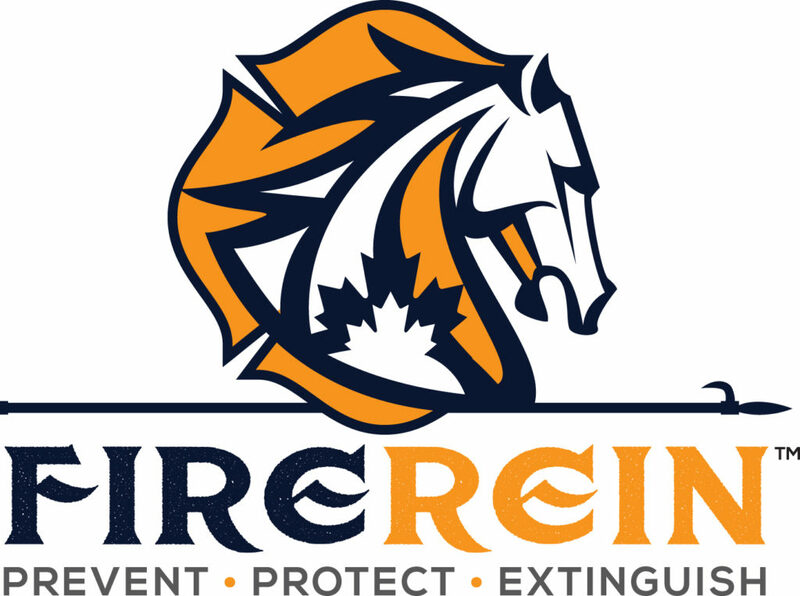 FireRein Inc. is a Napanee, Ontario-based company dedicated to providing the firefighting community with effective, innovative and sustainable firefighting technologies. FireRein has created Eco-Gel™ - the world’s first and only 100% bio-sourced and food-grade firefighting water additive. When deployed through standard firefighting equipment, Eco-Gel™ transforms water into a potent firefighting solution that “sticks and stays” to any surface in any orientation. Eco-Gel™ outperforms incumbent water additives by knocking down fires faster while using less water and protecting the environment. Eco-Gel™ represents a new class of firefighting water additive, addressing the emerging performance and environmental needs of the global fire protection industry. InfraReady's quest as an industrial food ingredient supplier is clear: we enable food manufacturers to profit from over 300 unique whole grain ingredients. As the name suggests, InfraReady uses "infrared" cooking technology to make products "ready". Our success in domestic and export markets is measured by our client’s ability to create and keep customers who desire and benefit from the consumption of whole grains. There is much at stake. As a BRC-GFSI accredited company, food safety programs are a prerequisite, however creativity and innovation are how we achieve "The Good We Get from Grain™". Innovation Guelph provides mentorship, programs and services to help innovative businesses start, grow and thrive. Serving Guelph, Wellington County and Southwestern Ontario, our novel business acceleration programs – including Speedway, Fast Lane, Fuel Injection and the Rhyze Project – support high-potential businesses from start-up to scale-up. Innovation Guelph also serves as a single point of access to Ontario Network of Entrepreneurs (ONE) resources. We empower entrepreneurs, build community partnerships, and foster initiatives to build an innovation ecosystem that drives lasting economic growth, supports environmental sustainability and enhances the quality of life for everyone in our region. 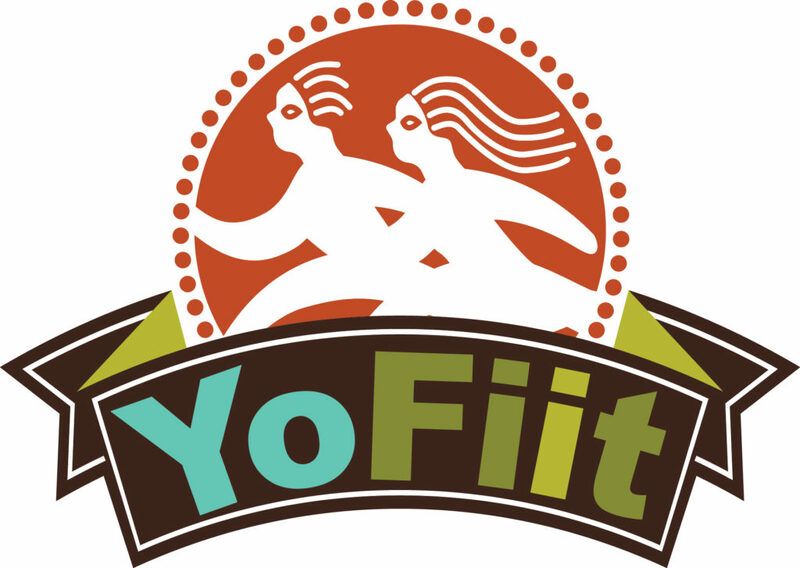 Launched in 2015 by Haligonian Linda Peers, Coconut Goodness Food Products Inc. was born out of a desire to create a probiotic dairy-free kefir that could make a significant difference in one's health. The company’s product, The Cultured Coconut, is currently available through retailers around the Maritimes, in Toronto, Montreal, and Ottawa. With a move to a larger commercial facility mid-2018 in Bedford, NS, the company will be able to significantly increase production capacity to meet growing consumer demand across Canada. Brand for Benefit provides visionary marketing for the common good. We serve brands, corporations and most importantly, the people who breathe life into them. Brand for Benefit exists to help business and not for profit leverage their greater purpose to achieve better in class results. Services include: Marketing Strategy, Visioning and Purpose, Communication and Advertising, Social Media, Digital Marketing, Content Creation, Package Design, Website Design, Emotion Analytics with Heartbeat AI, Employee Engagement, and B Corporation Certification. Do good business better. Bioenterprise Corporation is a national, non-profit business accelerator offering commercialization services to support the creation, growth and expansion of businesses in the agricultural technology sector. Since 2003, Bioenterprise has focused exclusively on agri-technology, providing companies with scientific and technical expertise, industry knowledge, business services and global connections. Examples of services include: access to strategic networks, technology and science assessment, market and competitive analysis, funding application guidance, identification of regulatory barriers, marketing strategy development, investment preparation, sourcing investment capital as well as ongoing advice and council. Featured on CBC Dragons' Den, Indezone Energy is the first product to market from Ioffe Biotechnologies Inc. Indezone is a new patent-pending Natural Health Product that improves brain performance, helping students and busy professionals focus on what's important. Quickly jumping to a Top 3 Best Seller in its category on Amazon.ca, this is a new kind of energy product for the modern lifestyle, with an emphasis on productivity and brain health— not the jittery rise and crash that traditional stimulants deliver. 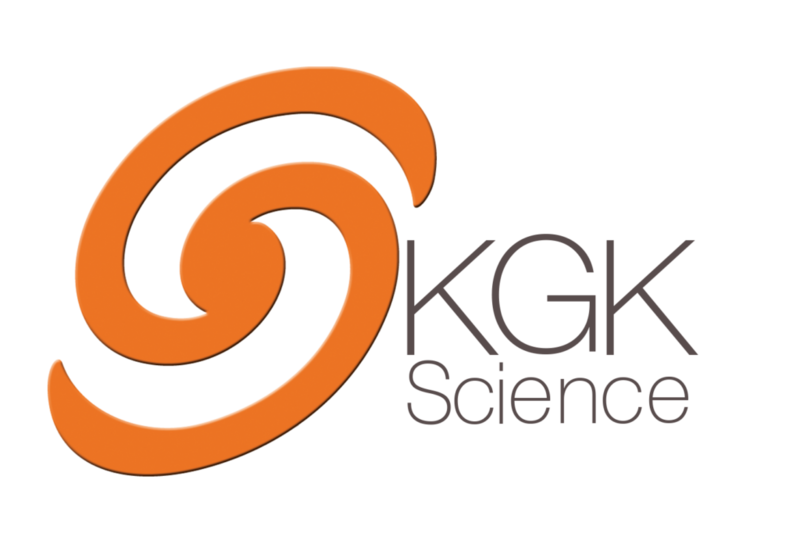 KGK Science is the leading contract research organization offering clinical trial services and regulatory consulting for the dietary supplement, functional food, ingredient, and cosmetic industry. For over 20 years, KGK has been designing and conducting clinical trials to support clients with claims substantiation and product marketing. KGK offers a seamless solution to clients’ clinical research and regulatory needs. As your one stop shop, KGK provides research strategy, regulatory support, clinical trials, and clinical trial management all under one roof. KGK currently operates a clinical trial unit where over 250 clinical trials have been conducted. Some of our major areas of expertise include, but are not limited to: Probiotics, Gut Health, Weight, Bioavailability, Cognitive function, and Immunity. 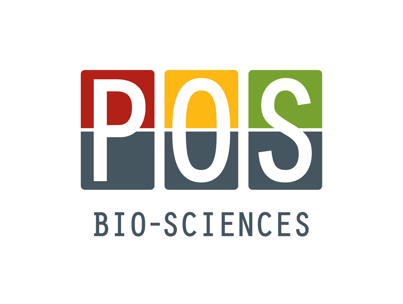 POS Bio-Sciences is a contract R&D / scale-up and toll processing organization. We specialize in the extraction, fractionation, modification and purification of bio-based ingredients. In our 40 year history we have worked on a wide range of materials; from biomass extraction from algae, yeast and bacteria, to protein extraction, fractionation and purification and oil refining and fractionating. POS has locations in Canada and the United States. Two facilities are located in Saskatoon, Saskatchewan and a third facility is located in Batavia, Illinois. We allow our partners to being to enter markets faster using our experience, expertise and capacity, thereby limiting their investment, and generating revenue sooner. 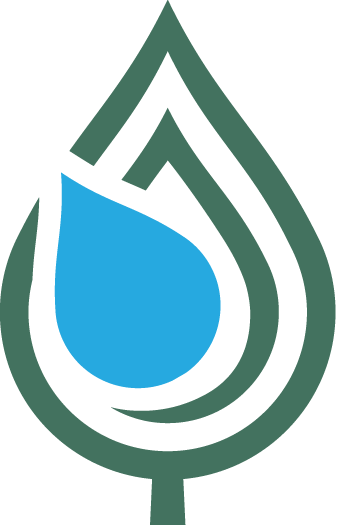 Island Water Technologies ("IWT") is a wastewater technology company that has developed, and is now commercializing the REGEN wastewater treatment solution - focused on low-energy, "IOT / smart" wastewater treatment. The REGEN solution was developed as the result of years of experience with fixed film materials, bio-electric sensors and next generation water treatment solutions by the team at Island Water Technologies. The Mission of Oilseed Innovation Partners is to collaborate with our client partners in the identification and commercialization of new and innovative opportunities from Canadian oilseeds. OIP conducts its own market analyses, as well as working with external parties to identify marketplace intelligence in the oilseed sector. This makes the organization uniquely capable of advising companies it works with about market potential. OIP has a solid understanding of regulatory requirements surrounding food and industrial use products and uses that expertise to achieve regulatory compliance. Oilseed Innovation Partners can assist with getting your innovative products made from Canadian oilseeds to market. SRC Biotechnology Laboratories is an applied research, biomanufacturing and DNA testing laboratory. It enables and accelerates biotechnology innovation across Saskatchewan’s core resource sectors of mining, energy and agriculture. With world-class expertise and facilities, we deliver a broad portfolio of genomic, microbiology and biomanufacturing services. Areas of strategic focus for the team include biomining, crop protection, microbial enhanced oil recovery, bioremediation and bio-based specialty chemicals. 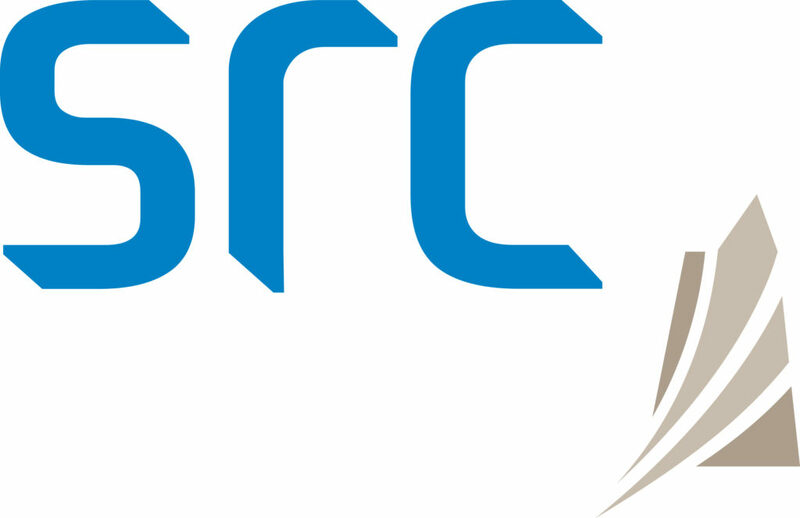 SRC and the National Research Council co-manage a fermentation plant, which offers clients contract biomanufacturing services that are uniquely well-positioned to support the commercial development of biotechnologies across Saskatchewan’s core resource sectors of mining, energy and agriculture. Bioindustrial Innovation Canada (BIC), a not-for-profit, supports Ontario and Canada become globally recognized leaders in the field of sustainable technologies. With a vision to create jobs and economic value sustainably for Canada, BIC provides critical strategic investment, advice and services to business developers of clean, green and sustainable technologies. In Sarnia-Lambton, a hybrid cluster has developed around sustainable chemistry, based on fostering partnerships from industry, academia and governments to support the development of the cluster. In 2016, BIC established the Centre for Commercialization of Sustainable Chemistry Innovation (COMM SCI) initiative program, which acts as a hub for the commercialization of sustainable chemistry and bio-based innovation. dicentra is a professional consulting firm that specializes in safety, quality and compliance matters for all product categories in the life sciences, food, and cannabis industries. We evaluate, implement, and provide all the necessary support for products and operations, allowing companies to gain market access while building brand confidence. We achieve this through our four business divisions: Life Sciences, Food Safety & Quality, Global Certifications, and Cannabis Consulting. Services include: Acquisition Due Diligence, Regulatory Business Strategy, Safety & Efficacy, Quality & Compliance, Market Authorization, Training, Global Certifications, Auditing & Verification, Importation and Export, Adverse Event Reporting, Advertising Clearance, and Marketing & Sales Strategy. Companies look to us to help protect their bottom line. We evaluate, implement, and provide all the necessary support for your products and operations to gain market access and build confidence in your brand. See what our clients say about our programs and services. "Being introduced to Stephen Ball couldn’t have come at a better time. His strong bioscience background paired with business acumen will be immeasurably valuable to the growth and success of our small business. Stephen has considerable expertise in the natural products sector as well as a wealth of connections for creating opportunities. There’s no question that I couldn't have accomplished this on my own." "I am writing to thank you for your assistance in the development of our business. In the short time, we have known each other you have made several contributions, including introducing us to an innovative new technology within Canada’s natural product ecosystem, and helping us connect to the Emergence Incubator program. Both have huge potential to help us in our commercialization process." "Since our first meeting with NPC, I have relied on their experience, knowledge and network to help Mycodev develop its commercialization strategy. There is strength in numbers and for companies manufacturing products originating from nature, NPC offers a terrific support mechanism for these developing markets." "Natural Products Canada's team has been a tremendous boost to our financing and business development efforts. As a Canadian Natural Products company in Canada developing a proprietary extraction technology we had been successful raising funds for our research and development but raising larger funds for commercialization was proving more challenging. Immediately NPC's team proactively helped make some critical introductions to both investors and prospective customers. In addition, NPC's team were quick to offer their guidance and advice on some international partnering structures and pricing arrangements. Within two months NPC were pivotal in helping us secure term sheets for financing and have become a valued resource for our business development efforts." "I have a start-up business making natural and organic products. On understanding the science and appreciating the marketability, NPC took a serious and active interest in my business. NPC are providing mentorship and guidance, opening doors and facilitating relationships in helping to take my business to levels I could not have otherwise hoped to achieve. Professional and personable, their counsel and support have been impressive. Their technical and administrative knowledge, experience and breadth of expertise in concert with their deliberate and considerate approach is remarkable. NPC is an outstanding resource to Canadians." "NPC was instrumental in establishing a meeting between a multinational organization and Nautilus Biosciences Canada. This initial meeting has developed into an on-going dialog and we anticipate that a contract will be executed in the near future. Such contracts are the lifeblood of our company and represent a significant milestone. I look forward to further interactions with the staff of NPC to examine new opportunities for growth at Nautilus." "Natural Products Canada has been key to our recent successes. Through their financial support we were able to significantly exceed the target of our recent financing campaign. With their input, we were able to strengthen our business plan. 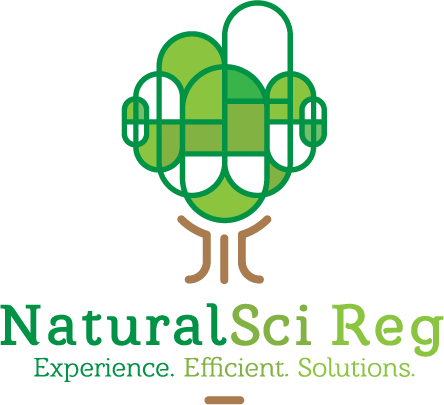 As part of their network, we are now “plugged-in” to the global natural products community. NPC represents a critical bridge that supports and enables an entrepreneur’s journey from minimum viable product to market adoption." "Re: Témoignage à Produits Naturels Canada (NPC) Protéines du nord est une entreprise québécoise axée sur la commercialisation de produits à valeur ajoutée à partir de gourganes en provenance de la région nordique du Québec. NPC a fortement contribué à nous mettre en contact avec l'expertise et les organisations compétentes dans l'écosystème canadien des produits naturels. Leur soutien dans la sélection des meilleures ressources en fonction des défis auxquels nous étions confrontés nous a permis d’épargner beaucoup de temps. Suite à notre collaboration initiale avec PNC, nous avons également officiellement décidé d’incorporer notre entreprise à Québec. Nous sommes impatients de poursuivre la collaboration avec PNC !" "NPC recently contacted Ovensa to offer their support in order to accelerate our developments and help overcome pre-commercialization challenges. They quickly put us in contact with a researcher from INAF (Institute of Nutrition and Functional Foods). Ovensa is also discussing with NPC for other potential collaborations in the future. Thank you to NPC and their added value support!" "Despite its short history, NPC has been a valuable partner in our journey. They have been instrumental in making several important introductions to key players in both government and the private sector. They have connected us with consultants and have been guiding our firm through funding processes and executional details. And they have also helped us with business plans, strategic direction and have even made interesting new product suggestions, one of which we are pursuing."